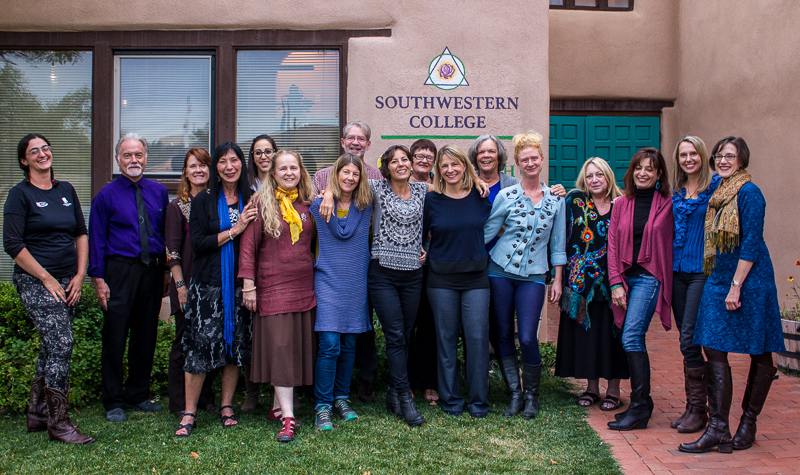 Southwestern College faculty members are selected very intentionally for their commitment to our mission of “Transforming Consciousness through Education.” We closely evaluate their ability to create transformational learning environments, to challenge and support the personal and professional growth of the students, and for their own clinical experience and expertise. We are fortunate that a great many gifted teachers are drawn to the progressive, artistic, spiritual and nature-based culture that is found in Santa Fe, Albuquerque, and Taos. Southwestern College has both full-time and adjunct faculty. We have a commitment to offer a wide range of theoretical orientations and clinical backgrounds, and most faculty members are licensed Counselors, Art Therapists, Social Workers, and Psychologists, while many have specialty professional certificates as well.